Finally... Learn How To Garden So That You Can Be Picking Beautiful Bunches Of Flowers That You Have Grown Yourself! Stop! Dont plant that bed of petunias until youve read this! Wouldnt it be absolute heaven if you could create your own private Garden of Eden in your backyard without spending a whole lot of time, money and backbreaking effort, and developing a huge backache in the process? Well, I am going to tell you exactly how you can plant and grow your garden without turning into a physical wreck. My tips will also come in handy for those folks who are perpetually rushed for time, but love gardening and would be just delighted with some time-saving gardening advice. That way, you can keep your patch of green flourishing without sacrificing the whole of your weekend. And that is to hire a fancy gardening expert who will create your Garden of Eden and charge you the sun, moon and a few stars. Ask the Hollywood celebs, they do it all the time, so does that mean you and I can do it too? I think not! You see, I can show you exactly how to go about things so that you will soon be picking beautiful bunches of flowers that you have grown all by yourself! You will also be able to present magnificent bouquets to friends and family. Darn, you may even decide to set up your own fresh flowers business! So you think I am promising too much? 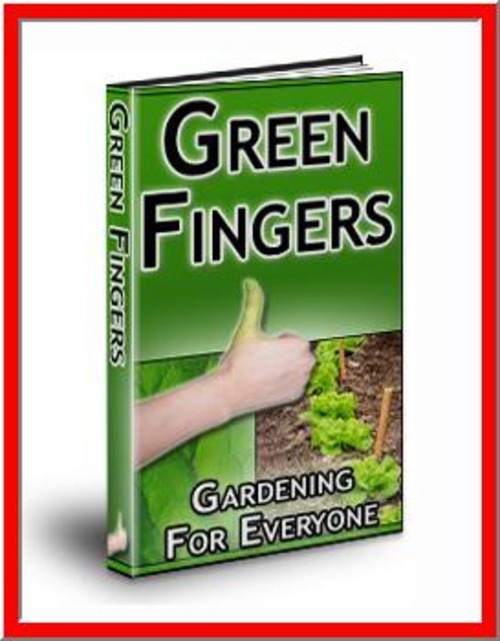 You will certainly change your mind when you read Green Fingers: Gardening for Everyone. This, ladies and gentlemen, is my e-book that will become your complete gardening manual in the days to come. My e-book tells you all you need to know to create your dream garden from scratch. Your garden can have more flowers than ever before, and your friends and neighbors wont believe how beautiful it all is. They may even get a bit envious! Whats more, your real estate agent may tell you that the resale value of your home as increased because it has such a lovely garden. Now thats good news to me! Mp3 Audrey L Green - "fresh Rain "